Mobile rewards company Kiip has announced its new engagement and loyalty platform, which aims to increase user engagement and retention in mobile apps through instant rewards. Traditionally, loyalty rewards are locked behind point systems, with users being required to earn a large number of points before receiving rewards. With this new system, users can be rewarded based on specific “moments,” when they’re already highly engaged. Kiip’s Moments Targeting technology defines the moments when users are highly engaged, and is compatible with both third-party networks and native brand apps. Using this technology, brands can reward their users with contextually relevant rewards, based on their current actions. In Kiip’s example, an airline app could provide users with a free lounge pass upgrade if their flight is delayed. That same airline could reward users with free drinks for tweeting about their trip, with this reward then automatically bringing users back into the app. Finally, the airline could utilize the Kiip network to distribute these same free lounge passes and beverage rewards to users across more than 3,000 third-party apps, thereby attracting new customers and increasing downloads of their own native app. 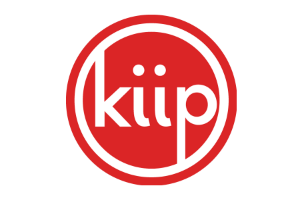 “Kiip has always been centered around transforming everyday moments into rewardable experiences. This platform approach provides a new way for brands to engage consumers, by opening a dialogue within brand-owned mobile properties,” said Brian Wong, CEO and co-founder of Kiip, in a statement. Over the last four years, Kiip has delivered 30 million rewards from brands to mobile users. Its platform captures profile data from 75 million active users. Brands interested in this new platform can learn more here.